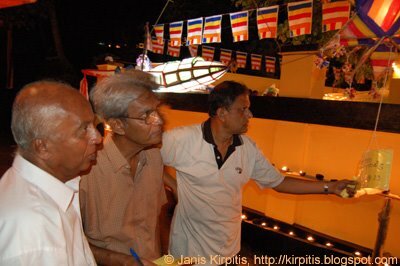 Some photos of Vesak Celebration on May 12th in some suburb of Kandy. I don't know much about Buddhism. 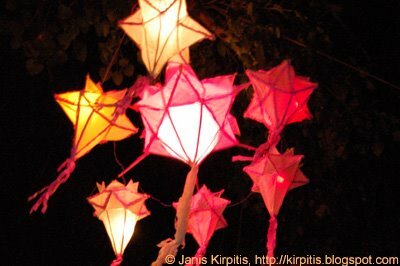 I only know that for Sri Lankan Buddhists Vesak is the most holy time of the year and is associated with festival of light. This year it comes along with 2550th Buddha's Jayanthi birthday. There were traditional lanterns everywhere on the streets and by the hosues. 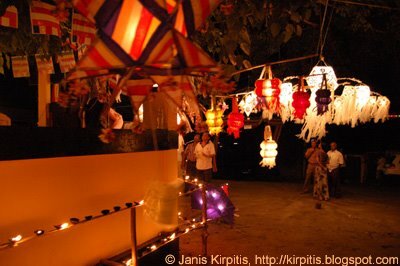 In part of Kandy where I stayed people from neighborhood organized hand made lantern contest by the local temple. 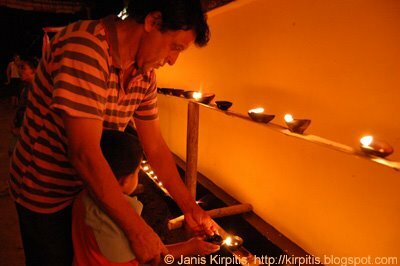 Father and son burning holy oil lamps at the temple wall. Three men reviewing different lanterns and trying to choose the best ones. Behind them some untraditional "air plane" lantern.